BlackCoin Trends Review, BlackCoin Trends SCAM Blacklisted! 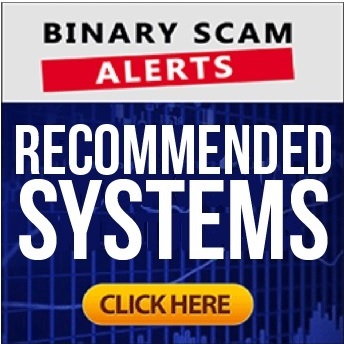 Binary Scam Alerts » Cryptocurrency Scam Reviews » BlackCoin Trends Review, BlackCoin Trends SCAM Blacklisted! We’re going to make it very clear for you immediately. The BlackCoin AKA BlackCoin Trends software and automated trading app by Andrew Frost is a blacklisted SCAM, this is not debatable. What’s interesting here is how the scam works and the how the deceptive minds who put this get-rich-quick scheme together think and operate. First, let’s clear up some facts. BlackCoin is an open source crypto wallet. It is marketed as “the original proof of stake coin” which is a virtual currency with a website that does not even load (feel free to try it yourself). BlackCoin Trends is a get-rich-quick crypto scheme which is attempting to piggybacking on the name and reputation of the BlackCoin crypto wallet. Oddly enough, we have a strange case of one scammer trying to use the name and reputation of another scammer in order to peddle a fake crypto robot and automated trading software and fraudulent signals app. Either way you look at it, BlackCoin or BlackCoin Trends are both confirmed financial scams which are being heavily promoted by large affiliate networks. It’s worth pointing out that our investigation was prompted by a flurry of complaints by frustrated opportunity seekers and day traders who were manipulated into funding a real money trading account with an unregulated offshore broker (Pratconi). Needless to say, due to the thieving and extremely misleading nature of the BlackCoin software, we are blacklisting this system and advising our members to avoid it at all costs. Keep reading our informative BlackCoin trends review and see how we exposed the crooks behind it as well as how they operate. Here we have the BlackCoin Trends sales page on one side, and BlackCoin Wallet website right next to it.You can clearly see the logo is identical and stolen from the Wallet site. Additionally, in the sales presentation Frost does not refer to his company as BlackCoin Trends, but only as BlackCoin. This is intentionally done in order to associate the scheme with a seemingly harmless virtual coins wallet and in this way cause you to drop your guard. Now, here is the clincher. Blackcoin or BlackCoin Trends uses a turnkey crypto trading solution named Pratconi. This software is also used by the fraudulent Huber Swiss Crypto Bot, which has already been exposed here by our staff and deemed to be a blacklisted scam. The image below illustrates this and also provides proof that the software is used by both systems and the end result is all too-well know. Yep, you will end up getting your money stolen. An here is the finale. Just like any good scammer, you must have some fake testimonials carelessly forged and inserted into the sales page. In this case we have “Leo Schmidt” who is saying he got “hooked for life” using this software. However, in reality he is an image bank actor and you will find his face plastered all over the internet under “premium Mongolian stock photos” (see image below for reference). BlackCoin Review, Is BlackCoin Scam? The software starts off just like any other scam which promises you “free access to the most powerful trading software in the world”, which generates between $1,350 to $3,700 every day for 120 people. In the presentation they claim the system has over 93% accuracy, and is constantly being updated by programmers and blockchain cryptographers. They claim history always repeats itself, and therefore it can be predicted with a degree of 93% accuracy. How Does BlackCoin Trends Work? The software is integrated with the biggest and most reliable databases in the world. It is updated daily, and generates money for over 100 members. They claim the algorithm works based on the supply and demand within the exchanges and public ledgers repetitive patterns. In other words, the system will only present a signal based on a repetitive pattern which has been identified in the past and only do so if there is at least a 93% success ratio. That is supposed to be the “secret”. Frost is NOT a real person. He is most definitely NOT the CEO of Blackcoin. The sales pitch states that he started Blackcoin in 2011 with a mission to make money in the newly emerging cryptocurrency markets. He claims he tried everything, but eventually gathered the best blockchain engineers and crypto analysts in the world in order to create accurate software which generates money consistently. No, this piece of trash technology will cost you at least $250 to use, and that money will be charged to your credit card by thieving offshore brokers who are seriously gunning for your wallet. The ones we keep hearing about are Bitcoin Code and GT Accelerator. The use of hyped up claims coupled with inflated bank accounts and fake testimonials indicate to us that we are dealing with a scam. You are getting suckered into something you have no knowledge about, and the people orchestrating this elaborate scams are professional crooks with a proven track record for defrauding unsuspecting victims. It’s not fun getting scammed, we should know because it happened to us as well. That is why we inspect each system we endorse very carefully and make sure it performs consistently. We invite you to check out worthy alternatives in our recommended section.